I had to laugh when I read Debbie Teashon’s article "Easter Exposed the Rebel." 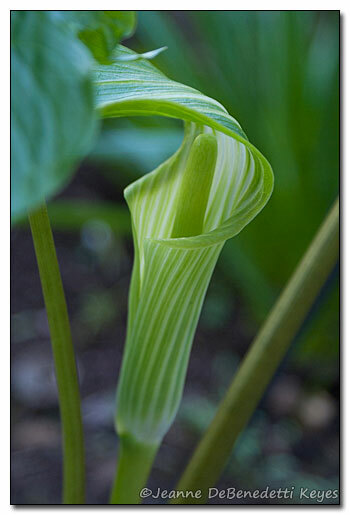 Yes, maybe the cobra lily in the article, Arisaema nepenthoides, has subtle coloring, making it a rebel in contrast to the colorful spring flowers, but there are many plants in the Araceae, or aroid family to give those flashy tulips and daffodils a run for their money. The calla lily, Zantedeschia aethiopica (photo below left), is a lovely and classic aroid with its velvety white spathe, bright yellow spadix and large, dark green leaves. Although native to southern Africa, it is hardy to USDA zone 8 and does quite well here with just a little extra mulch. 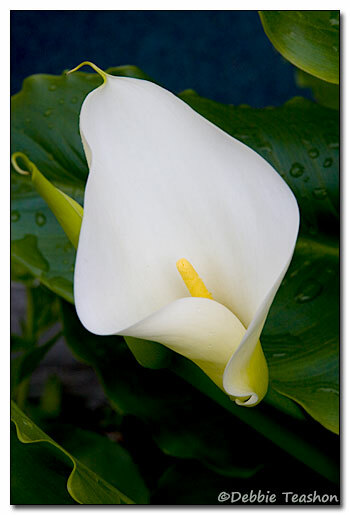 Calla lilies are evergreen if given enough moisture, preferring to grow along streams and ponds. 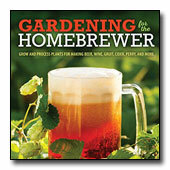 In my Pacific Northwest garden, they are deciduous due to our dry, summer season. Callas generally grow to a height of 2 to 3 feet. Some cultivars such as Z. aethiopica ‘Green Goddess’ can grow to 4 feet. The elegant shape of the "flower" (spathe) may fool you into thinking this beauty is a diva, but it is hard to find a more care-free and hard working plant in the garden. Another one of my favorite aroids is Arisaema sikokianum, (photo below right) also known as Japanese Jack-in-the-pulpit. What a cutie! The thick, marshmallow-like jack or spadix and the green, maroon and white striped spathe are very photogenic. The light green, five-lobed leaves provide interesting contrast to other shade-loving plants such as bleeding hearts (Dicentra sp.) and ferns. Some of the cultivars have silver variegated patterns in the leaves, an added bonus. A. sikokianum prefers dry, well-drained soils and is hardy to USDA zone 4. 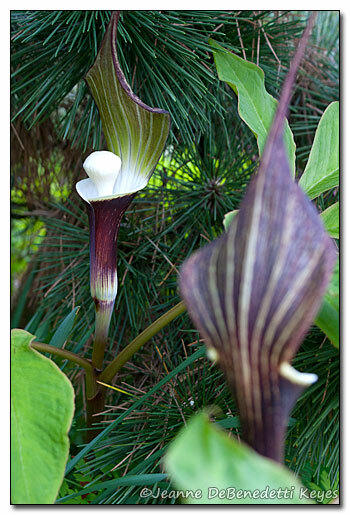 Arisaema consanguineum (photo right) gets my vote as a cute rebel in the spring garden. You would think that the subtle colors of green and white would make this sweetheart of an aroid blend in, but the striped pattern and the large hood with the dangling thread make it quite unique. The slender, green jack (spadix), addressing his congregation of other spring beauties, adds to the cuteness factor. A. consanguineum originates from China and is hardy to USDA zone 5.